I just love a bit of mint choc chip – it’s sweet but also refreshing with a perfect chocolately crunch – and for that reason it’s always been one of my favourite flavour combinations. It was definitely my ice cream cone flavour of choice when I was younger, and my tastes don’t seem to have changed very much since! But of course nowadays seeing as I don’t eat dairy or refined sugar the traditional ice cream version tends to be off the cards, so I wanted to create something healthy and guilt free that also combines the minty and chocolatey flavours that seem to go so well together. This mousse is so quick to whizz up – all you need is six ingredients and a blender, so it’s great for a speedy dessert or a sweet snack. If you serve it in some nice glasses with a little decoration it also looks pretty snazzy, so definitely a good one to wow dinner party guests with if you’re looking for a healthy pud to make in a hurry. 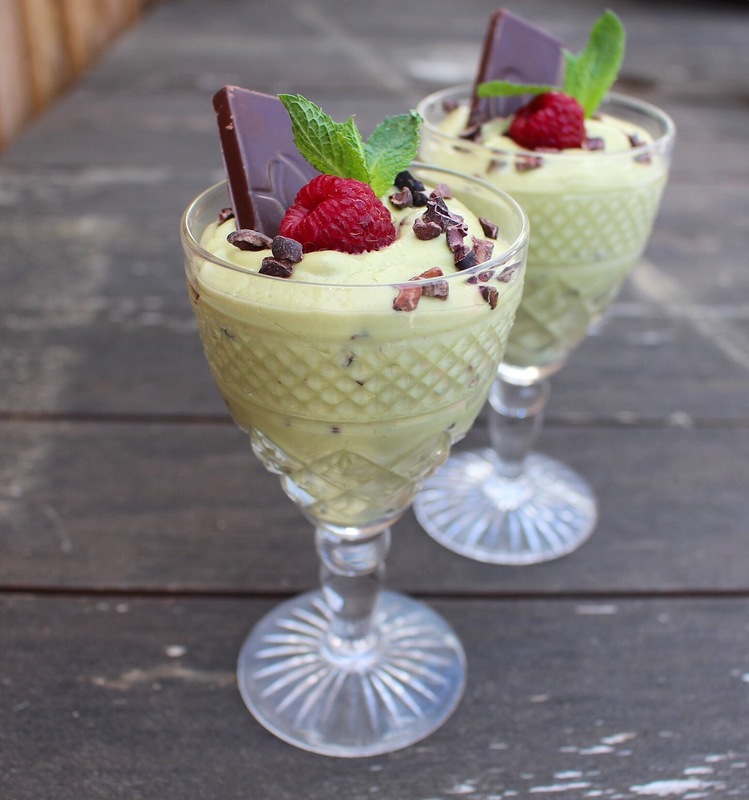 Because this mousse is made with avocado and banana (which give it such a great creamy texture) it’s actually super filling and you really don’t need to eat a lot of it to satisfy your sweet tooth. 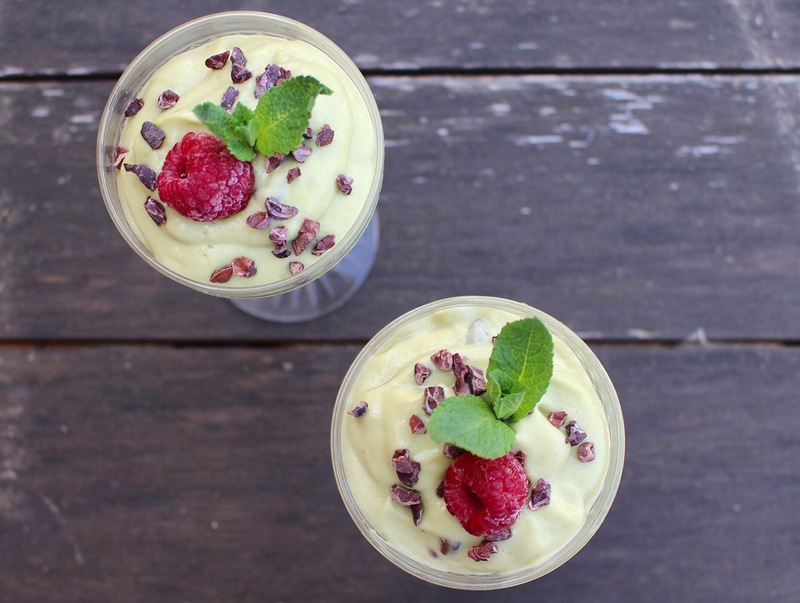 The cacao nibs are fab too as they are packed with antioxidants and will also curb those chocolate cravings, and the minty flavour is just so lovely and refreshing as well. I’m absolutely obsessed with this mousse at the moment, I’ve even been having it for breakfast with some granola and chia seeds on top! Pop all the ingredients except the cacao nibs in a blender and whizz for a couple of minutes until the mixture is creamy and smooth. Stir in the cacao nibs and serve in little bowls or glasses. Decorate with mint leaves, cacao nibs, berries or a piece of raw chocolate and get stuck in! Hello – going to make this for this evening – can I make it in advance or will it go brown ..? Thanks !